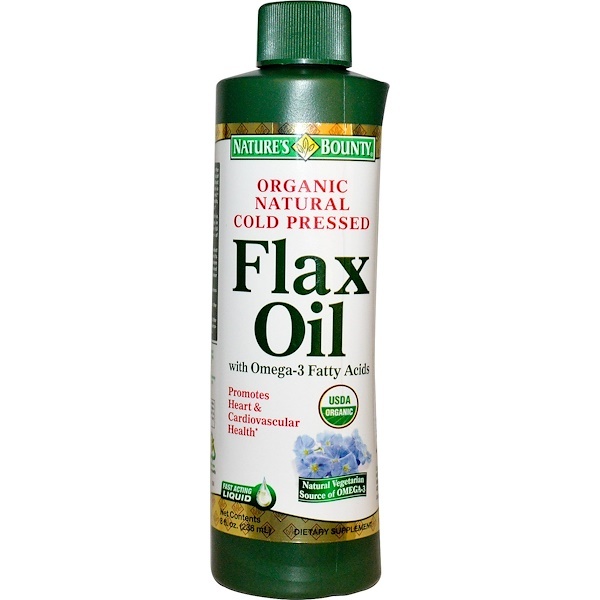 Flax Oil is one of the premium sources of the essential fatty acids Alpha-Linolenic Acid (Omega-3) and Linoleic Acid (Omega-6). Most Americans have low Omega-3 diets, which is why supplementing the diet is so important. 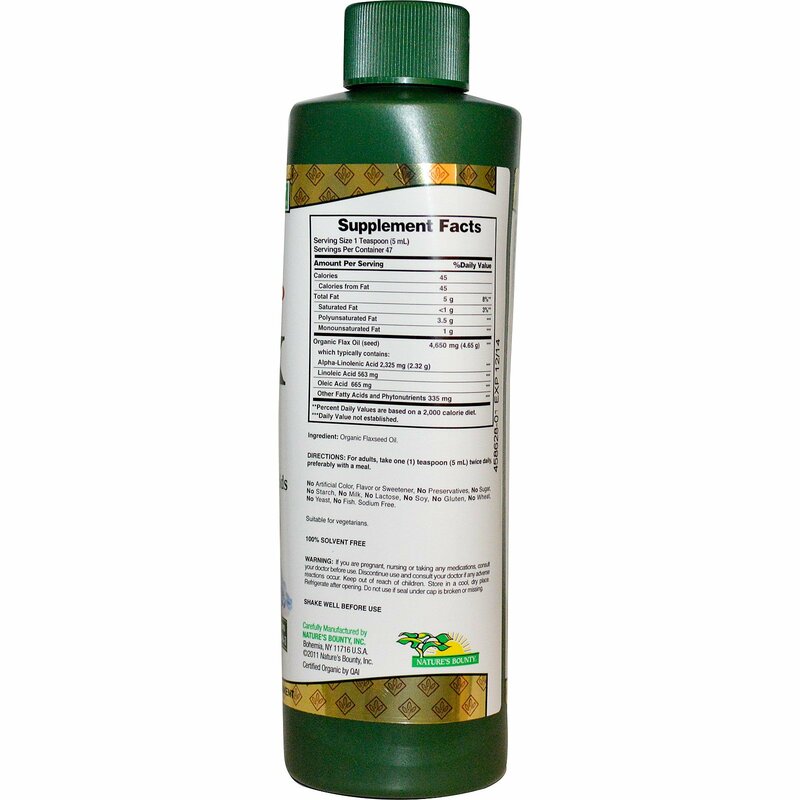 Fatty Acids support cellular and heart health, and provide an energy source for the body. The National Academy of Sciences, which is recognized as the highest scientific body in the U.S., recommends that men consume 1.6 grams and women consume 1.1 grams of Omega-3s per day. Our Flax Oil is filled under a nitrogen blanket to safeguard it from oxygen exposure and it's processed in a climate-controlled atmosphere under yellow lights to ensure the highest level of quality. We also bottle it in a dark container to minimize light exposure. Flax Oil is one of the best vegetarian sources of Omega-3 fatty acids found in nature. For optimal freshness, please store in the refrigerator after opening. Through a unique cold processing method, the flaxseeds are pressed at very cold temperatures and are processed without solvents. For adults, take one (1) teaspoon (5 mL) twice daily, preferably with a meal. If you are pregnant, nursing or taking any medications, consult your doctor before use. Discontinue use and consult your doctor if any adverse reactions occur. Keep out of reach of children. Store in a cool, dry place. Refrigerate after opening. Do not use if seal under cap is broken or missing.